I’ve loved music all my life. The photo on the left is actually me at the age of 3! 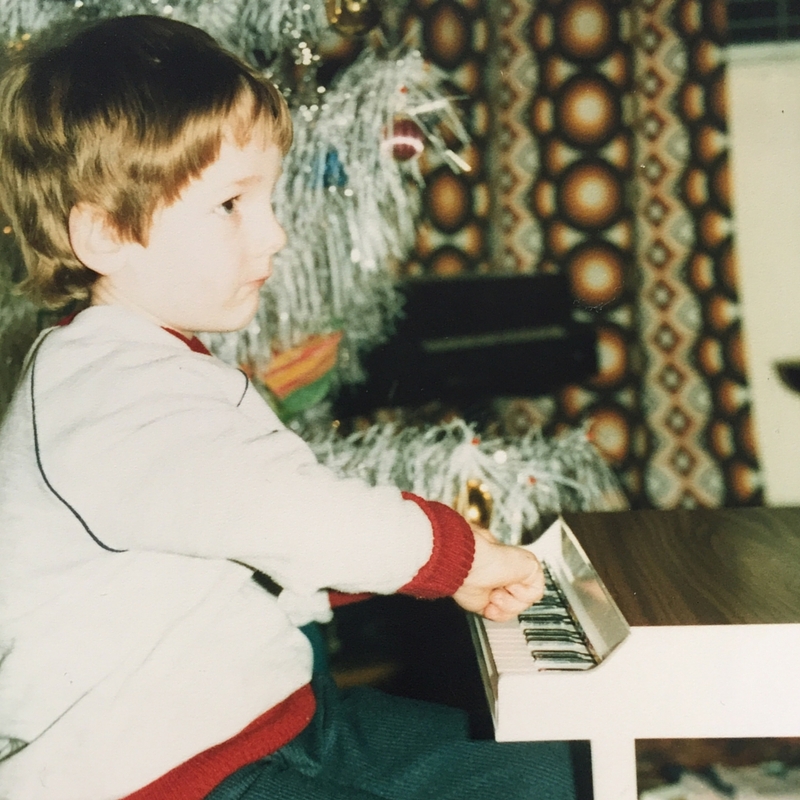 When I went on to study music in Belfast, I had two piano teachers over a 7 year period. The first was a man who was a fantastic performer who used to mesmerise me with his brilliance. But he wasn’t the greatest teacher in the world. He’d come into the lesson smoking a cigarette and would continue smoking throughout the entire session! As for his temper….well, that was extremely short. I was on the receiving end of many a telling off, although in fairness, I wasn’t the best of students. He didn’t do compliments either. If his response to a performance was ‘Errrm, not bad’, that meant it was excellent. Even that was rare. As time went on though, I actually grew to like the old man. But the truth is, his lack of encouragement didn’t do a lot for my confidence. After a few years, I was sent to a new piano teacher. She wasn’t the best pianist in the world, certainly not nearly as good as my previous tutor. However she was an outstanding teacher. She was ALWAYS encouraging and her ethos was very different from what I’d known in previous lessons. Whereas my former piano teacher was a perfectionist who would go ballistic over every note that was played incorrectly, the new tutor took the affirming approach. She used to tell me ‘If you play a wrong note, make it THE most wonderful wrong note that has ever been played.’ She allowed for failure and gave her students the confidence to make mistakes. She’d say ‘If you make a mistake, don’t EVER stop. Keep playing. Do it with a bit of pizzazz and no-one will ever notice.’ It wasn’t that she was encouraging mistakes. She was encouraging confidence. And the result was that her students tended to make far fewer mistakes because they stopped being self conscious of always getting it wrong. It certainly did wonders for my confidence. I thrived in that atmosphere. Whereas I used to dread my piano lessons, suddenly I started loving them. At the Junction Church Loughborough and Leicester, we REALLY want people to succeed. But helping people do well will never happen in a culture that’s critical, cynical and mean spirited. That kind of fault finding environment just draws out the insecurities people already have and accentuates the negative. Nobody wins in a culture like that. Real leadership is about having the courage to create a culture that brings out the best in people. It allows for mistakes – whilst journeying with people to see them get better. Loughborough is a great town. Leicester is a great city. The people in Loughborough & Leicester are great people. At The Junction Church, we will never stop believing that. And that’s the kind of church I want to be a part of. I know it will never be perfect. But I want a culture that brings out the BEST in people and helps them succeed! More importantly, I totally believe that’s what God wants.